With months of training in front of me and a knee re-injury in my not-so-distant past, I realized that it was time to take care… of my feet. Though not the best time to do so according to my very strict budget, I decided that I needed to stop procrastinating and get a new pair of sneakers. I’ve been eying a variety of brands and styles for months now. I love New Balance, but my Nikes have been so good to me over the years. However, I’ve heard great things about Asics… Should I try one of those toning type shoes or take a chance on a barefoot running simulated shoe? Do I get an all purpose, training or running shoe (since I can only afford to get one right now)? In the end I chose Nike‘s Quick Fit training shoes. Super light with a good amount of ankle support and cushion, these babies are great for the variety of classes, weight training, and sprints. I’ll have to pick up some running shoes down the road, but these will work for pretty much everything else. I’ve felt the results of not having the right shoes for a workout, including foot, ankle and knee injuries. You take for granted all the things you put your feet through, and even though it’s overwhelming because there are so many kinds of footwear out there, it’s very important you treat your feet and give them the right kind of support. I’m going to end up with three different types for just the activities I do – training, running and spinning – but they’re worth the investment. Your feed are worth it. Now I need to pamper my tootsies and get a pedicure. What is your favorite kind of sneaker? 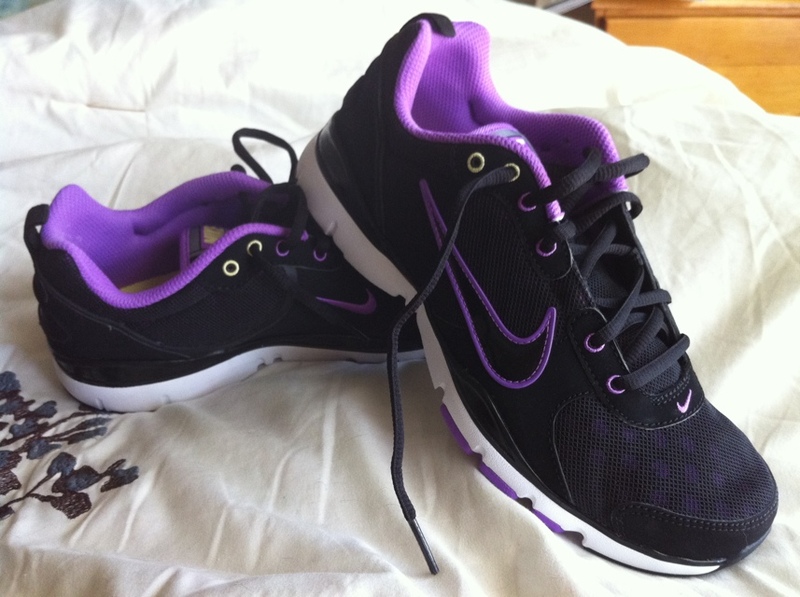 Do you have a different pair of sneakers for each kind of exercise?